There's Always Room for Yellow! 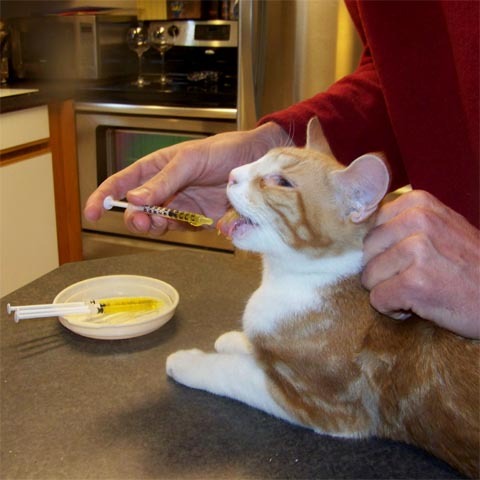 Oggi gets his morning dose of Viralys, a gel infused with L-lysine. To me it tastes a little like butterscotch. Yum!